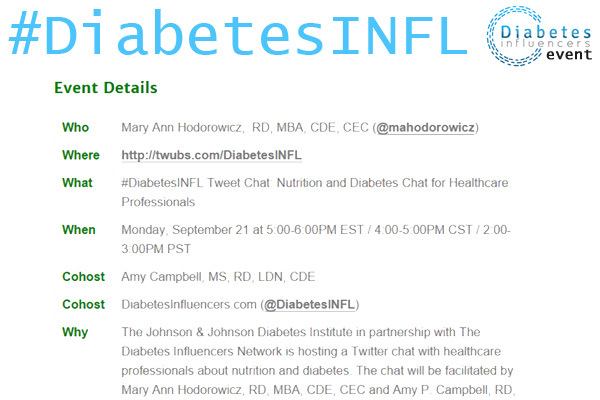 In September 2015, The Johnson & Johnson Diabetes Institute, in partnership with The Diabetes Influencers Network (DiabetesInfluencers.com, @DiabetesINFL), hosted a Twitter chat for healthcare professionals about nutrition and diabetes. The chat was facilitated by Mary Ann Hodorowicz, RD, MBA, CDE, CEC, @mahodorowicz and Amy P. Campbell, RD, MS, CDE, @amypcampbell. Here are some common questions asked by people with diabetes, followed by answers from our hosts and participants. Do I have to give up sugar or sugary foods and drinks completely? It’s not realistic to think that people will give up sugar completely, so help them manage their intake. “Use in moderation and be accountable for what you eat” is much more acceptable. Educate to count portion size, calories and carbs. Sugary food can be substituted for other carbs, but it is low in nutrients and fiber and high in kcal. Diet soda is best to prevent high blood glucose. Some sugary foods can be surprisingly low in carbs. Educate your patients to read labels! Patients need to find what amount of sugar they can tolerate and what foods with sugar they can have. They can have sugary foods for a treat or special occasion. But don’t forget to count them as carb choices! Food and drink considerations are a part of an overall Lifestyle Change and should be considered on a case by case basis. 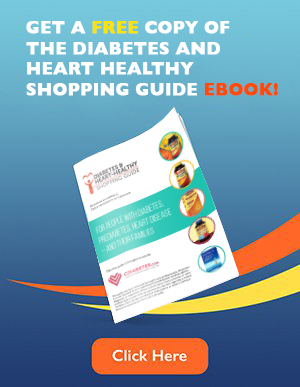 Frequent blood glucose checks can help a person know how to best fit treats into eating plan. Yes, but wisely. They are usually found in non-nutrient dense foods. “Diet” foods can be a trap, so its important to remind patients that sugar-free foods aren’t always carb or calorie-free. Carb and calorie free sweeteners are ok, but foods containing them, like sugar free cookies, usually have carbs that must be counted. Beware also that artificial sweeteners can induce glucose intolerance: the body doesn’t know it’s an artificial sweetener until it’s too late, so insulin may still be stimulated. Consider natural no- or low-cal sweeteners if your patient has this reaction. Can I eat foods made with sugar alcohols? Some people mistake sugar alcohol for true alcohol. Sugar alcohols don’t contain sugar or alcohol: they are a carb, and not necessarily low cal. Mannitol, maltitol, lactitol, xylitol, sorbitol, hydrogenated starch hydrolysate, and isomalt are all sugar alcohols. Sugar alcohols have some serious side effects – patients must use in moderation. Read labels!! Foods with sugar alcohol (carb), are OK but often have other carbs that must be counted. Sugar alcohols are NOT low in calories, and sugar-free may not mean carb free. Not all sugar alcohols are created equal. Sugar alcohols can have a laxative effect, causing gas, bloating, and diarrhea. Erythritol has the fewest GI effects as it does not ferment in the colon. If counting carbs on insulin-carb ratio, if a food has 5 or more gm SA, subtract 1/2 of from the total carb count. Sugar alcohols have 2 calories per gram. Should I eat more high fiber foods? High fiber foods are sensible all around, not just for diabetes. A high fiber diet can reduce the risk of diabetes mellitus and help control blood sugar and promote good colon health. Viscous fiber is best. Viscous fiber gels in fluid and can best reduce blood glucose and blood cholesterol! Fibers that do not “gel” are not as effective in blood glucose and blood cholesterol reduction. The Academy of Nutrition and Dietetics diabetes evidence-based guideline recommends 7 to 13 gms viscous fiber per day. If diabetes is under control, an occasional drink is probably ok. As with so many foods, moderation is best. The AHA’s recommendation is 1 drink/day for women, 2 for men. Alcohol can cause a low blood glucose episode. With alcohol, the liver will kick in to detox and then cannot release stored glucose quick enough. Low blood glucose can occur quickly with ETOH and activate insulin in the system So check blood glucose more often when drinking alcohol. People taking insulin or certain types of diabetes pills should always eat a carb food when drinking alcohol to prevent lows. Look out for alcohol mixers, however, like soda and juice. Consider diet versions or seltzer water instead. What kind of fats can a person with diabetes eat? How much is ok? Good fats are important for heart health and help to slow the digestion of carbs. Avocado, extra virgin olive oil, nuts, canola and peanut oils, fatty fish like salmon, seeds and avocado are recommended. Also avoid the obvious trans fats. If carbs raise blood sugar, should I avoid all carbs? NO, NO, NO! Avoid all carbs only if you want sub-optimal brain function. The brain needs glucose. The human body needs carbohydrate to function properly. Carbs are the bodies preferred fuel source. But plant-based, whole-food carb are the healthiest choices. A daily meal plan should include healthy carbs. Low quality, empty calorie carbs are the downfall of healthy eating. The best carbs are from plants – veggies, fruit, whole grains, nuts, seeds and beans – and low-fat milk and yogurt. Educate patients to eat less saturated and trans fats, and more mono and polyunsaturated fats plus omega-3s. If weight loss is desired, use less fat in cooking and at the table. Do I need to lose a lot of excess weight? Excess weight affects much more than just diabetes. To lose excess weight, recommend a balanced, calorie controlled meal plan under the guidance of a medical professional. Slow, steady weight loss is best to avoid complications. Make small, gradual changes to food and physical activity – it helps weight come off and stay off! Losing as little as 5% of excess weight can greatly help control blood glucose, blood pressure, blood lipids and increase energy. Do I have to eat 3 meals a day, every day? There is not a single “perfect” meal pattern, but 3 meals a day is great. 3 meals and 2 healthy snacks is good, too! Basically, every body is different, and your patients need a meal plan that fits their lifestyle. Some people eat 6 (smaller) meals per day. Smaller meals eaten more often will likely promote satiety and help keep blood sugars steady, especially if they contain protein. Have patients do a food/activity log to track the number of calories they consume over a day and see where adjustments or additional foods are needed. Should I take my diabetes medications if I skip a meal? It depends on the medications and the meal. Some diabetes medications trigger the pancreas to release insulin all day, so foods need to be eaten to prevent low blood glucose. Know which medications cause low blood glucose. Skipping meals is the quickest way to feel lousy both from hunger and blood sugar dips. 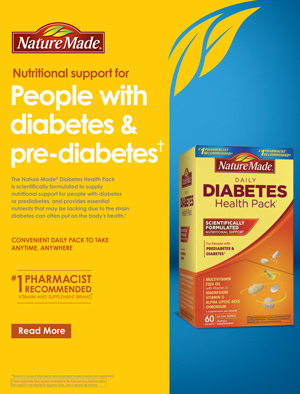 A regular “meal skipper” should talk with their healthcare provider – they might need a different type of diabetes medication. Skipping meals also sets people up to overeat at the next occasion (or choose less healthy foods). The brain and central nervous system can only burn blood glucose to survive. The rest of the body can burn fat and muscle. Should I take vitamins/minerals or other supplements? It depends on the quality of the diet and other medical conditions. Some dietary supplements can affect blood glucose levels. Specific questions should be addressed to a doctor or dietitian. People should carry full list of every over-the-counter and herbal supplement they are taking, in addition to their prescriptions. No matter what, remember, “supplements” are not “substitutes” for a healthy diet! Do I have to cut back on salt and salty foods? Reducing intake to less than 2.4 g sodium/day should have clinically important effects on blood pressure. Most sodium comes from packaged and restaurant foods, not the salt shaker. Also look out for salt substitutes which often contain potassium. 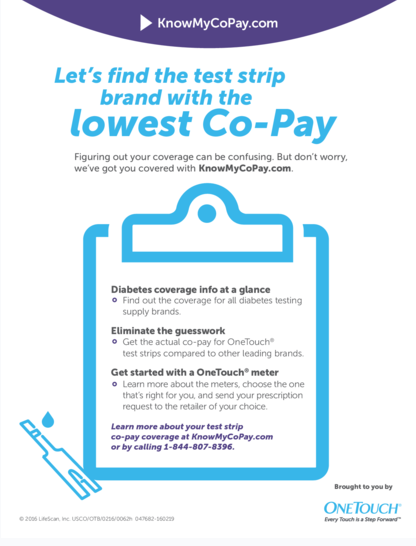 Check with a healthcare provider before using. The recommended daily allowance is 2300mg sodium, 1500mg for those over 50, or who have hypertension or related conditions. These are difficult but doable numbers. Salt raises blood pressure, which raises the risk of heart attack and stroke. Read labels and use salt substitutes, like herbs, spices, garlic, etc. Remember that meal planning, medications and exercise all work together to control blood glucose and cardio-vascular disease risk.